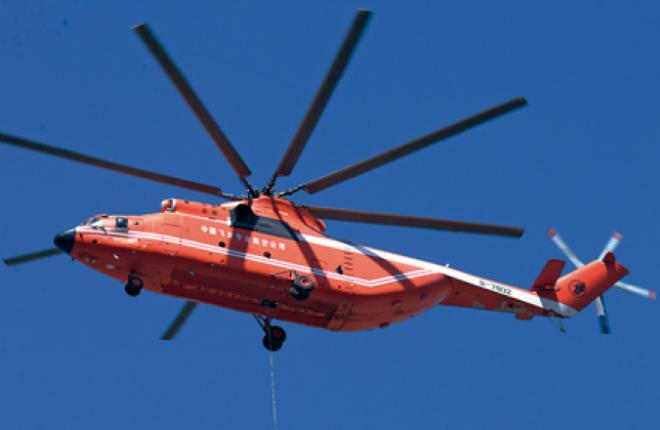 Russia and China has officially launched the joint development of a new heavy helicopter with a framework agreement signed in early May between the Russian Helicopters holding and Aviation Industry Corpo - ration of China (AVIC). According to the Russian manufacturer, the future rotorcraft named Advanced Heavy Lifter will have a takeoff weight of 38 tons, and to be able to carry 10 tons of cargo inside the cabin or 15 tons on an external sling. This means it will be smaller than the world’s largest helicopter – Mil Mi-26T with 56 tons MTOW and 20 tons of load capacity. The future Russo-Chinese aircraft is expected to be capable to perform various missions including transportation, medevac, firefighting and much more. The partners have already defined the preliminary technical specifications of the new helicopter and continue to finalize its concept. The general contract for the AHL development is to be signed later this year, says the Russian manufacturer. The partners expect that demand for the new heavy helicopter in China could exceed 200 airframes by 2040. The new helicopter will be manufactured in China.